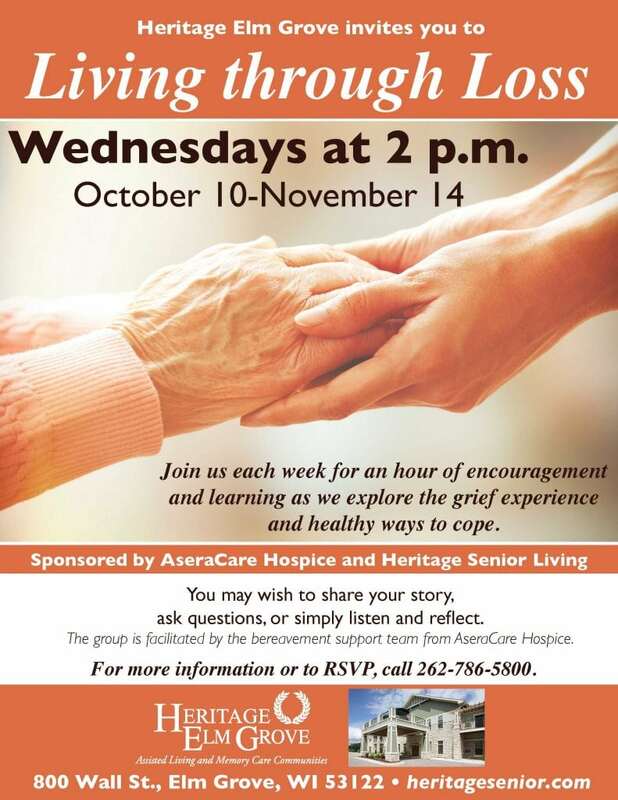 Join us each week at Heritage Elm Grove for an hour of encouragement and learning as we explore the grief experience and healthy ways to cope. You may wish to share your story, ask questions or simply listen and reflect. The group is facilitated by the bereavement support team from AseraCare Hospice.